Should You Be Scanning Your Documents? Whether you have personal documents, or business documents, it is important to make sure that you take care of them to the best of your ability. There are plenty of different ways to store your important information, but what about scanning everything? Have you ever considered your options when it comes to putting everything onto your computer? 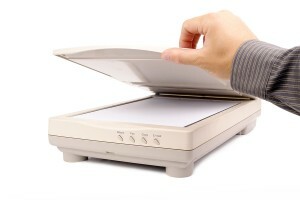 Not only does scanning help make sure that your documents are safer, but they also make them easier to find. Scanning paperwork isn’t as tedious as it sounds depending on how much work you have to put away. If you have a mass amount of paperwork that you need to have scanned into your system, you may want to look into a contractor that can help you get everything put away as opposed to spending weeks getting everything set up. If you don’t have as much paperwork that you need to have scanned, you can dedicate some time to making sure that everything gets done. There are so many reasons why you should look into scanning your records. To keep your office more organized. Make all of your documents easily accessible. Lessen risk of losing an important file. Help make transferring your documents easier. Have everything stored into one place. There are so many different reasons that you should scan your paperwork that it is hard to say no this day in age. Because scanning has been around for as long as it has it really isn’t as expensive or as hard as it used to be. If you want to make sure that your office runs as best as it possibly can, I would highly recommend scanning your records! Get Free Quotes on Document Scanning Services Today! Scanning your documents is an easy and secure way to stay organized, but it can be a lot of work. Instead, let a document scanning service take care of the dirty work for you, so you can focus on your main job. Call Record Nations at (866) 385-3706 or fill out the form on the right for free quotes on your project.